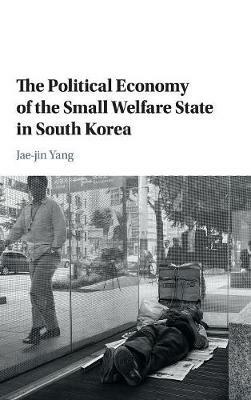 This book explains why the Korean welfare state is underdeveloped despite successful industrialization, democratization, a militant labor movement, and a centralized meritocracy. Unlike most social science books on Korea, which tend to focus on its developmental state and rapid economic development, this book deals with social welfare issues and politics during the critical junctures in Korea's history: industrialization in the 1960-70s, the democratization and labor movement in the mid-1980s, globalization and the financial crisis in the 1990s, and the wind of free welfare in the 2010s. It highlights the self-interested activities of Korea's enterprise unionism at variance with those of a more solidaristic industrial unionism in the European welfare states. Korean big business, the chaebol, accommodated the unions' call for higher wages and more corporate welfare, which removed practical incentives for unions to demand social welfare. Korea's single-member-district electoral rules also induce politicians to sell geographically targeted, narrow benefits rather than public welfare for all while presidents are significantly constrained by unpopular tax increase issues. Strong economic bureaucrats acting as veto player also lead Korea to a small welfare state.